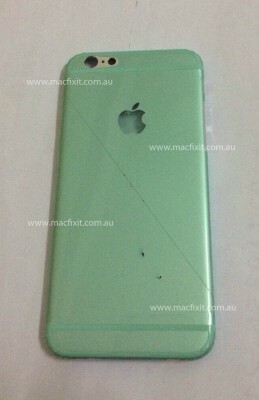 The legitimacy of the photo is still under the question, however, looks like the back panel is really from Apple's would-be handset. So far, there haven't been any worth-mentioning leaks showing 5.5-inch iPhone 6 parts, so I can assume that the smartphone will be released later than the 4.7-inch model. While there is no way to confirm the shell's authenticity, it does match many of the mockups that we've seen and has the distinct antenna breaks on the top and bottom as well as a circular cutout for the LED flash. The rear shell also has the rounded corner like the current iPod Touch and is similar in size. What do you think about today's iPhone back shell? Let me know in the comments.